Raise your hands if you think that Dogs are the best companions of humans. Okay, now tell us which one is the best dog breed? What if we say that all the dog breeds are the best, but yes, we can choose a certain breed that suits us and our lifestyle. 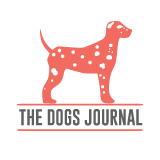 Well, The Dogs Journal has been launched with the aim to provide our readers and the dog lovers with the best available information about the dog breeds, health issues related to different dog breeds and their treatment, dog grooming, and training, products, and everything else related to dogs. We’ll cover all the pure breeds as well as designer breeds. You’ll not only find the information about your favorite breeds but also the answers to your questions. Our experts are always ready to dig deep on the internet to find fruitful information and facts about the dogs. He is the founder of this blog and a dog’s expert. He has been dealing with dogs since long and he wants every dog to be treated with love and affection. He loves to study dog behavior and health-related issues. Apart from this, he is a full-time blogger and ready to help his fellow bloggers and dog owners. Altaf has three dogs; a Shih Tzu and 2 Corgies. He is an excellent writer and has been writing on different topics related to dogs. Lucas is a kind-hearted person who used to visit pet shelters regularly to show his love towards dogs when he could not get a dog. Now, he has three dogs in his home and he has decided to share his experiences with our readers. We’d love to get feedback and ideas from you regarding any aspect related to the dogs and dog breeds. You may send your queries and love through the contact page. Happy Woof Woof.